Advanced Design Technology is pleased to announce that we will be presenting our paper on 'Optimisation of a pump-as-turbine runner using a 3D inverse design methodology' at the next Symposium on Hydraulic Machinery and Systems in Kyoto, the ancient capital of Japan, in September 2018. The event takes place on 16th-21st September and we will be presenting our paper on Tuesday 18th at 2.30pm in the plenary lecture 2 room at Doshisha University, Kamigyo Ward. The IAHR 2018 in Kyoto offers an opportunity to gather scientists and engineers from all over the world to discuss the most recent advances in theoretical, experimental and computational research as well as the latest challenges faced by the industry. Hydraulic machinery and systems are the key components for the sustainable development of energy and water resources including various transport process of liquids. For more effective and efficient utilisation of hydraulic machinery and systems, it is important to exchange up-to-date information on R&D, Numerical Analysis, Design, Operation and Monitoring of hydraulic machinery and systems. One of the society's biggest current challenges is the mitigation release of greenhouse gas emission into the atmosphere while setting the basis for a sustainable development. As a result, climate-related factors are currently driving the adaptation of the power generation and energy storage sectors. Pumped-storage hydroelectricity is today the world’s largest contributor to grid energy storage and its success is based on the design and ability of an impeller to perform as either a pump or a turbine by reversing the rotation direction. In our paper, we discuss the performance of a pump-as-turbine runner for pumped storage hydroelectricity applications. This is analysed with a specific focus on the trade-off between the pump and the turbine working modes. Read the full abstract. 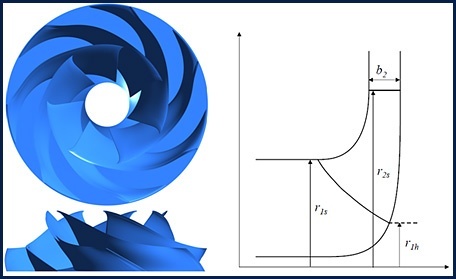 This paper will provide you with an understanding on how you can achieve a better and more efficient design of a pump-as-turbine case with multiple-objectives and multi-points conditions using the inverse design code of TURBOdesign1 and TURBOdesign Optima to optimise the performance. View the full program (paper 357). We invite you to join us after our presentation for an exclusive one to one consultation to discuss your design challenges and objectives in pump design or answer question you may have. Find out more information about our paper and event details.